This is a perfect spot that accomodates all your plastic card printing requirements under one roof. Our plastic Business cards offer a stylish and more permanent alternative to paper business cards. 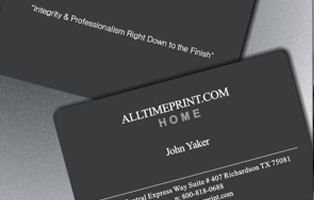 Our Business cards can be printed on standard white PVC, Clear or Frosted PVC, and even custom shapes. 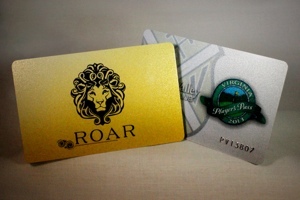 Our solid PVC plastic cards are a perfect way to implement Gift cards for your business. Fully customizable with your logo or artwork. When full color printing is not enough, our Gold and Silver metallic options add some extra pizazz to your plastic cards. Includes full color printing on your choice of Gold or Silver metallic. 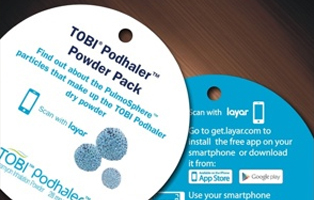 Our Clear and Frosted plastic cards offer a creative way to promote your business. Includes two-sided, full color printing on your choice of Clear (smooth) and Frosted (textured). The possibilities are endless! Show your customers that you care! 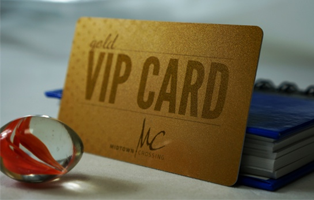 Our VIP and Loyalty cards give your customers the impression that you care about their business. Fully customizable with full color printing on both sides. 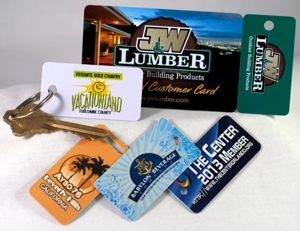 Our Key tags are made of the same solid PVC plastic as our standard cards. Comes complete with a round hole punch to attach to a keychain. Think outside of the box! We offer Custom Shaped plastic cards as well! 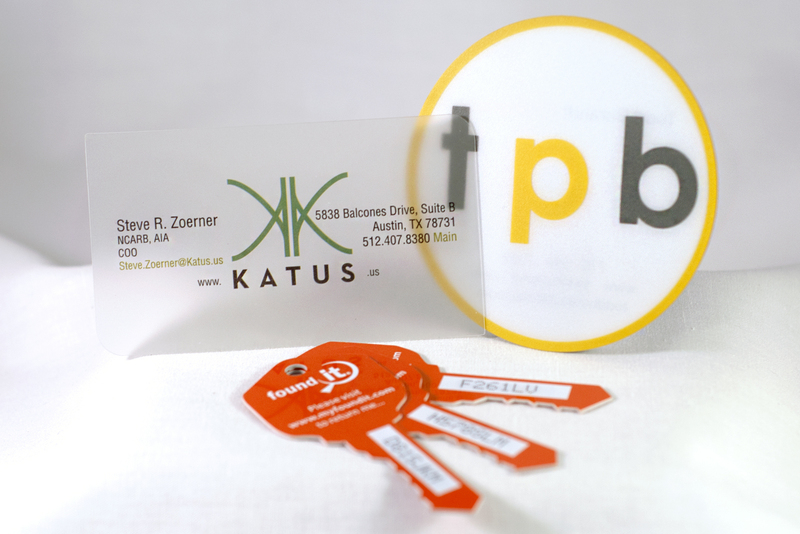 Our plastic cards are solid PVC and can be cut to any desired shape within 4"x6". 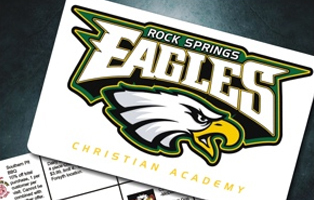 Our solid PVC plastic cards are great for use as Fundraising cards for your school or organization. Includes full color printing on both sides. It only makes sense to present your new Gift card in a fully customizable Gift Card Holder. Includes full color printing with your logo or artwork. A variety of styles are available to fit your needs.